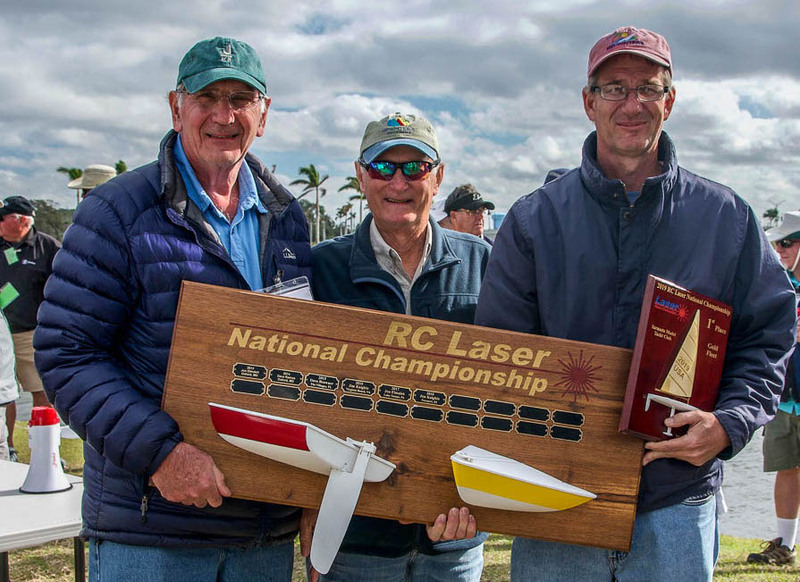 By the narrowest point advantage Jim Kaighin from Marsh Harbor, Bahamas beat second place finisher Jon Luscomb from Jupiter, FL to win his third RC Laser National Title. Jim Kaighin won by a one-point margin with the lead changing three times during Sunday’s racing. Placing third and fourth respectively were Calvin Obara from St Petersburg, FL and Mike Kaighin from the home fleet in Sarasota. Those skippers taking first place finishes were Jim Kaighin 7, Jon Luscomb 6, Calvin Obara 2, Dave Brawner 2, Steve Lippincott 1, Peter Feldman 1. Silver Fleet winner Dave Branning from Somers Pt, NJ picked up his 4th Win in Silver Fleet racing. Henry Dewolf from Palm City, FL placed second over third place finisher Chris Dingle from Zephyrhills, FL. Special awards went to Top Lady, Joan Lefczik from New Port Richey, FL and RC Laser Grand Master Steve Lippincott from St Petersburg, FL. Sailing conditions were D sails for 80% of the regatta. It was a great regatta to gain experience in heavy air sailing. By the end of the regatta all the skippers were all smiles as they had completed two days of great sailing! This year’s regatta was hosted by the Sarasota Model Yacht Club with member David Fine as Regatta Host and Slip Newfield from Sun Coast Model Sailing Club as regattas Race Director. The volunteers and club support were overwhelming. This was only the second major event held by SMYC and all agreed that it was one of the best regattas they have attended. Hats off to Dave and Slip and the Sarasota Model Yacht Club for a job well done! Full report with photos to follow.